Gan Yaldenu Tots offers a rewarding learning experience for your child, allowing them to gain intellectual, emotional, physical and social learning vital for their total growth and development. Our programs are made with thorough preparation as we know that learning in the early stage of childhood years is very important. Through our loving and caring caregivers and preschool teachers, your child’s day can be a fruitful one by giving them productive learning activities which will mold their interest and unique potentials. Infants 1: 8 weeks to 1 year of age. 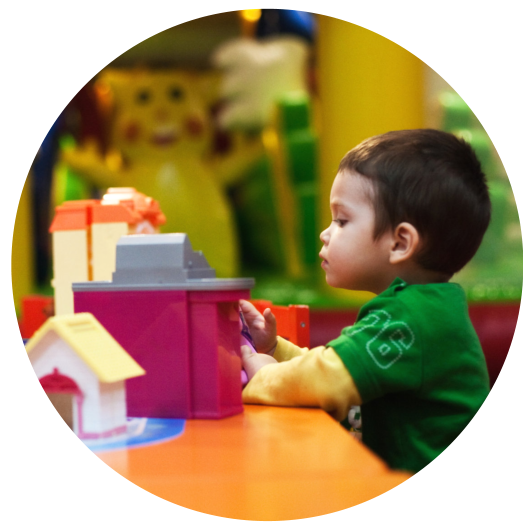 Infants who are our youngest learners can have a chance to build and nurture their interest in education through our infant program.Our infant program focuses on your child’s early learning development through stimulating infant activities and interaction. Our highly-trained teachers will give you comfort as they do their utmost in taking care of your little ones while giving them a time of learning. 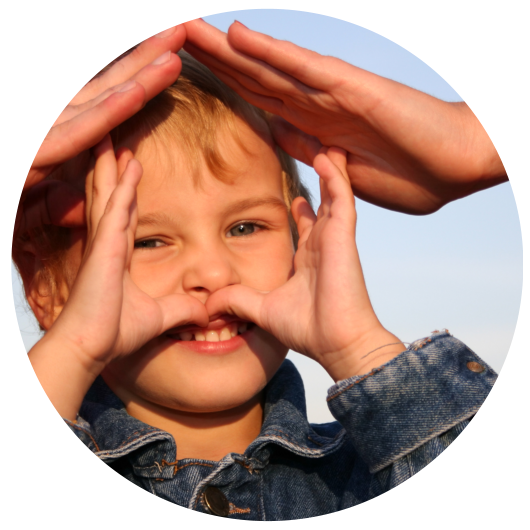 Each child is given an individualized program based on discussion with the parents. Children are kept on the same diet they are on at home. Children transition out of this room to an older group as they are ready. “The Teddy Bears” are our walkers through 18 months. At this stage of childhood development, a vast learning opportunity is provided through discovery, stimulating play and activities that will boost their cognitive and curious young minds. 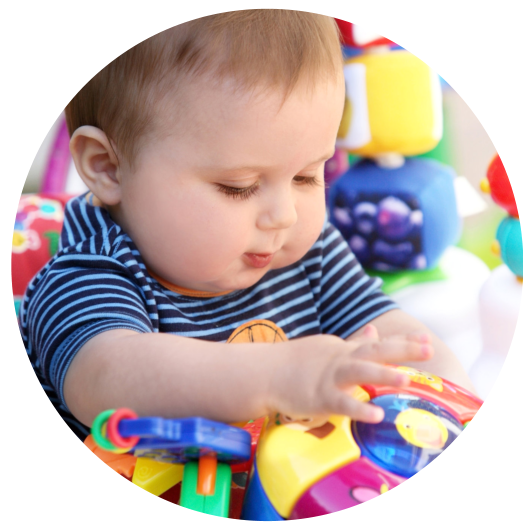 Shapes, music, and colors are introduced as well as language to enhance their interest to learning. 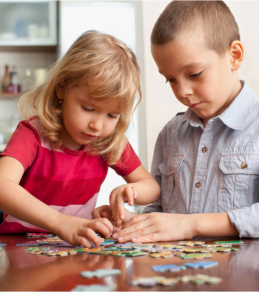 A safe environment, non-toxic toys and learning materials are given to ensure the safety of your children. “Caterpillars” are from ages 18 months – 2 years old. 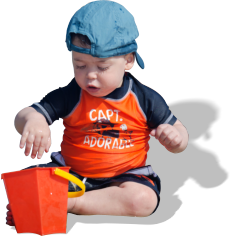 Your precious toddlers are exposed to more stimulating activities that will contribute to their emotional, social, physical and mental development. Through this program, we will start to introduce different learning basics such as art, structured music and movement. Social interaction is always available in safe and accommodating classrooms designed to give them a rewarding and wonderful learning experience. Your children continue to thrive in a socially stimulating environment. This is an exciting new stage where your child begins to play with other children and we work diligently to facilitate these relationships. We begin a program including colors, numbers, opposites and many more exciting new topics. New art and movement methods are appropriately introduced for this age child. “Chicks” begin at 2 1/2 years of age through 3 years. Little children ages 2 1/2 to 3 years are given more learning opportunities as they prepare themselves to the next stage of formal education. Advance learning topics on the areas like mathematics, language, science and reading are being provided. We believe that through learning activities, a child’s full potential is being developed. It will also improve their self-esteem and confidence as they step up to the next ladder of education. Puppies, our oldest group of 3 and 4 year olds. Children are exposed to more advance learning activities and programs to fully harness their sensory, communication, social, learning and creative skills. Outdoor activities and plays are also provided according to their unique capabilities. You can count on our compassionate teachers who will selflessly extend their knowledge in nurturing your child’s academic interest and personal characteristics. A move to Pre-K at our Teaneck location will begin an exciting journey through a higher level Literacy, Math, and Science program. To reach them please click on the link at the top of the page. Enroll your child to programs that will serve to develop their physical, mental and social capabilities. All these are made for your child’s learning advancement and brighter tomorrow. Inquire us now and receive more details about our programs. Please call us at 201-385-7500 or send us an online message here.